Firstly, I like how organised and simple the Zoutons website is. The layout is clean and it is easy to navigate through website to great deals every day. One of the best features is the latest coupons segment where you get the best of deals. 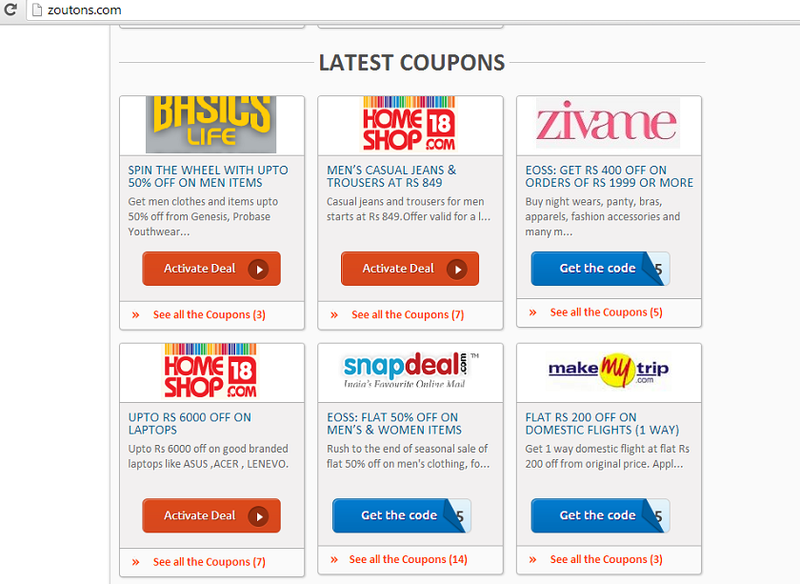 The coupons is mostly restricted to online shopping for apparels and electronics. 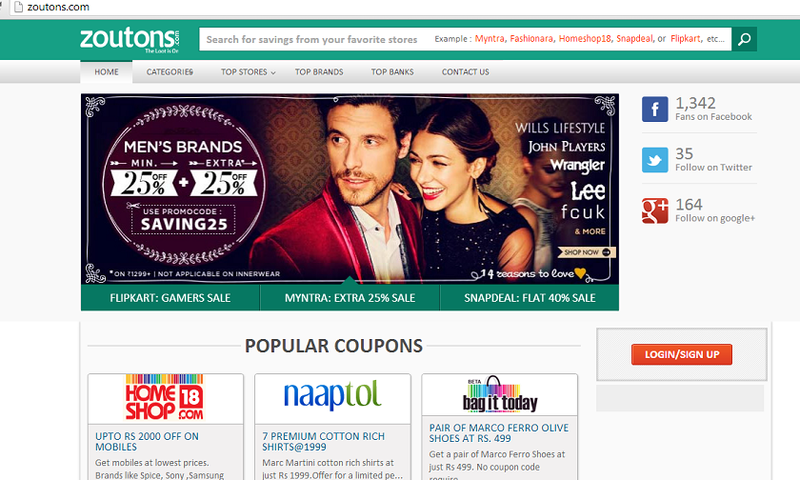 Zoutons is affiliated with most Indian apparel brands to provide best discounts. 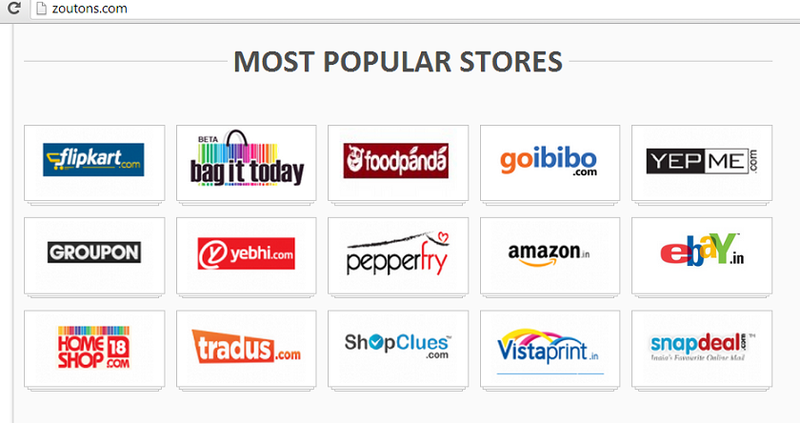 One of my favorite section in the website is the popular stores section. Few of the Indian website which I like shopping extensively are Myntra, flipkart, foodpanda and ebay. You can see plethora of promo codes to get extra discounts. Check out Zoutons for Flipkart deals.